Caring for a terminally ill friend or family member can be exhausting, and many caregivers fail to tend to their own needs during the last weeks and months of a loved one’s life. Failing to do so, however, puts caregivers at risk for illness and burnout, which can render them unable to continue providing the care that drove them to exhaustion in the first place. If for no other reason than to stay fit and ready to help their ailing loved one, caregivers need to make the time to take care of themselves. It is admirable that family members often drop everything in order to care for loved ones during their last weeks and months of life. This determination to provide assistance can take its toll on loves ones, both physically and emotionally, though, who are not only working to help their friend or family member, but are also wrestling with their own fears and anxieties. It helps if there are a large number of caregivers available, so that they can arrange care schedules so that everyone is able to get some much needed time away from their responsibilities. By taking a bit of time for rest and recuperation, caregivers are more able to direct all of their energies toward their ailing loved one when they are needed. While terminally ill patients are surely dealing with a wide range of difficult emotions, those close to them are, as well. Grieving begins with the knowledge that time is running out, and family members undergo much the same process of adjustment as the patients. Disbelief, anger, anxiety, and depression are all common, and caregivers need to acknowledge and address their own need for emotional outlets. Seeking out the counsel of caring friends can offer enormous relief for caregivers, who may be hesitant about expressing their feelings to their family members. It’s also important to take time for activities that are unrelated to providing care, even if the distraction is only occasional and short lived. 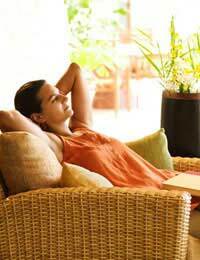 Even short breaks can provide enormous benefits. Caregivers often focus so intently on the physical needs of the patient that they let their own health suffer. Everyone needs a healthy diet, filled with nutritious foods, and at least a bit of daily exercise. Food is the body’s fuel, so in order to maintain the pace necessary to meet the demands of patients, caregivers need to choose quality foods for themselves, too. Additionally, research has shown that regular exercise not only helps to maintain strength and endurance, but can alleviate anxiety and depression, as well. Considering the stress, both physical and emotional, that caregivers feel, healthy diets and daily exercise are smart ways to stave off illness and caregiver burnout. Sometimes, friends and family members are adamant that they will provide all the care necessary for a terminally ill loved one, refusing even occasional help from outsiders. Unless a large network of caregivers is available to provide one another with regular breaks, however, utilising some form of respite care is a wise move. Patients have enough to worry about without being concerned that their friends and family members are running themselves ragged by providing unending care – taking some time away is good for everyone, patients and caregivers alike. Toward the end of life, many terminally ill patients require around-the-clock care, putting enormous stress on their friends and family members. While loved ones will certainly want to remain nearby and make themselves available to help out, it is important that they take some time each day to tend to their own health and well being.